Travel insurance can help cover medical expenses or financial losses you might incur while traveling. It’s often pitched as the best protection for those traveling domestically or overseas. This article will explain what kind of coverage you need before you sign on the dotted line and start paying for protection against the unforeseen and unpredictable. What does travel insurance cover ? – accidental death / flight accident. As its name implies, trip cancellation insurance (sometimes known as trip interruption insurance or trip delay insurance) covers you in the event that you or your traveling companions need to cancel, interrupt or delay your trip. The insurance pays the difference between the refund you get from the vendor and the amount you originally paid for the trip. Make sure the insurance you buy is not from the same carrier you purchased the trip from, that way, if the carrier goes out of business, you’ll still be protected if something goes wrong during your trip. Travel medical insurance provides only short term medical coverage, the duration can be anywhere from five days to up to one year, depending on the policy. Major medical insurance is for travelers who are planning to take longer trips of six months to one year or longer. These types of insurance can help you cover medical expenses and locate doctors, hospitals, healthcare facilities and foreign language services if you become ill or injured while traveling overseas. Whether you purchase medical insurance separately or you already have it, find out if you will need prior approval from your insurance company for any type of medical care. The US government urges americans to consult their medical insurance companies prior to traveling abroad to determine whether a given policy applies overseas. For example, your medical insurance may only cover you in the U.s. and Canada, but not Europe. According to the State department’s bureau of consular affairs, Medicare does not provide coverage for hospital or medical costs outside of the US. Also, when traveling, always register your travel plans with the State department through its free online service travel registration website, this way, the nearest embassy or consulate can contact you if there is a family emergency or a state or national crisis while you’re traveling. Note : check to see what preexisting medical conditions, if any, are excluded before you sign up. Make sure you read all the fine print and know what the policy covers and what it doesn’t. This type of insurance provides coverage for medically necessary evacuation and transportation to medical facilities. These costs can easily reach $10,000 out of pocket if you don’t have coverage. This becomes extremely useful should you become stranded in a remote rural area without easy access to needed facilities. These types of travel insurance international pay benefits to a traveler’s surviving beneficiaries, as with life insurance. Benefits are paid out in the event of an accident resulting in death or serious injury to the traveler. There are also more specialized forms of travel insurance. For example, some focus on the needs of business travelers, extreme athletes or expatriates. So, if you are planning to participate in high-risk or extreme sports while away, selecting an insurance that is made specifically to cover you in case of a sports-related injury might be more cost-effective and needs-specific than selecting an insurance policy that provides more general coverage. Per-trip coverage is the most common type of international travel health insurance. according to the US travel insurance association, 80% of all travel policies purchased are per trip policies. This policy is for travelers who don’t travel as often, and it provides protection for a single trip. Multi trip coverage provides protection for multiple trips during one year, but none of the trips can exceed 30 days. The annual policy is for frequent travelers, it provides coverage for a full year. The cost for each varies depending on the category or type of insurance for the coverage you think you will need. 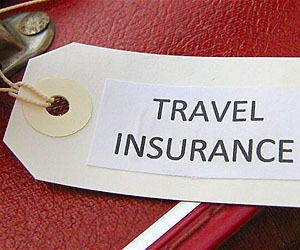 Generally, the cost of a per trip travel insurance policy varies between 4% and 8% of the cost of the total trip. For instance, if your total trip cost, including airfare and a week long tour of France, is $3,000, your out of pocket insurance cost would be between $120 and $240. Be wary of travel insurance companies that overprice their policies. Check out the reputation of the insurance company you are looking to purchase from. You can start by looking at organizations like the US travel insurance association, which provides helpful advice and travel insurance ratings on choosing travel insurance. You can also go to your Better business bureau (Bbb) office to find out about qualified travel insurance companies. Do you really need travel insurance coverage ? – will you be traveling overseas ? – are you planning to participate in extreme sports ? – can you afford the cost of the trip back home if an emergency arises and you need to get back ? – if you or someone who is traveling with you gets sick, will you be able to afford medical care ? These are all potential problems that can turn your dream vacation into a nightmare if you aren’t prepared. When deciding whether to purchase a policy, go through as many scenarios as you can. Get familiar with the cancellation policies of hotels, tourism cruise lines and other travel service providers. Review existing policies and agreements with credit card companies. In some cases, credit card companies already cover issues, such as lost luggage or car rental liability. Become familiar with price schedules, terms, conditions and exclusions of the insurance you choose. The fine print is the backbone of your contract and it will be what determines what type of coverage you will have when you need it most. When you have the right insurance in place to cover you on your trip, you can ensure that your dream vacation turns out to be all you had planned and more.